Coffee Pot Stamping Cafe: Watercooler Wednesday Challenge #143 - Gail's Feminine "Anything Goes"
Watercooler Wednesday Challenge #143 - Gail's Feminine "Anything Goes"
This week Gail is hosting our Feminine "Anything Goes" Challenge at the Watercooler Wednesday Challenge. I'm sharing one of the cards I made at a class I attended at Taylored Expressions Stamp Joy 2017. Actually, in the coming days you will see more of the wonderful cards I made at the event. It was a day and a half of fun filled creating. This card is from the Fall Shine class that was taught by Lori Craig of Imagination International. The flowers and feathers were painted rather than inked. While all but one feather was done for us, we were able to play with the Turquoise Chalk Color and the Timbrillo Paste. We mixed the Timbrillo Paste into the Turqouise Chalk Color and applied it to card stock and let it dry. That didn't take long at all. Then, we cut out the feather. The next step was to sand that feather which allowed the sparkle of the Timbrillo Paste to shine through. I do hope you can see it in the photo as it gives the most pretty glitter to the feathers and flowers. It was a fantastic class! Here is a close up view of the flowers and feathers. Hopefully, it will show some of the sparkle from the Timbrillo Paste that was mixed with the Chalk Colors. For all the challenge details and to share your project, visit the Watercooler Wednesday Challenge by clicking the image below. We'd love to have you join us. You have until Monday, November 6th at 6:00 p.m. Central Time to link up your project. What a fun project Marsha. Sounds like you thoroughly enjoyed yourself a this day and a half event. 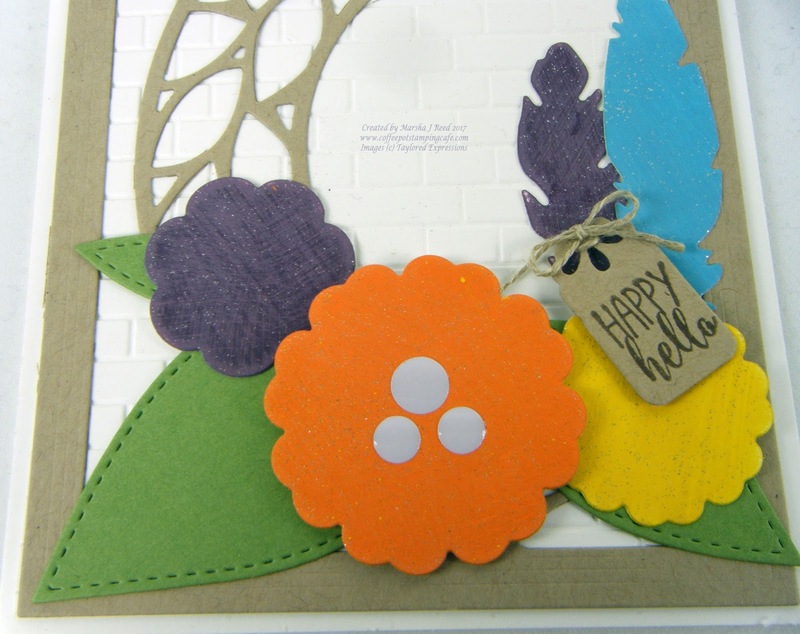 It's wonderful to share and try out new products and skills for our card making endeavors. Great card! Thanks, Penny! It was such a fun weekend and I learned some new tricks, too! Sounds like the class was lots of fun! And a great project too! Thanks, Libby! The class was a whole lot of fun. The Tommy Art product is amazing. Love your beautiful wreath and those gorgeous colors!!! Great card, Marsha. Those colours are lovely together. Hi Marsha, I know you had a wonderful time at those classes, and no wonder! 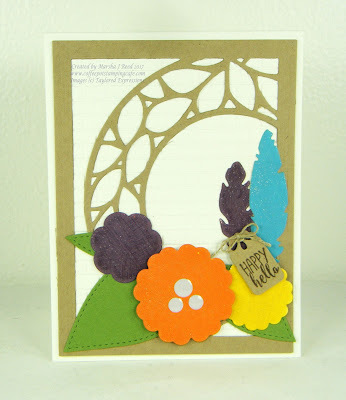 Look at the gorgeous card you wound up creating. Love those vibrant colours and die-cuts. Thanks, Heidi! I did and I can't wait until next year's event.